Paraguayans are preparing to head to the polls for presidential and congressional elections at the end of the month, but the new deals cut by the political parties to secure the majority votes have raised uproar from the population who increasingly feel that the upcoming elections are one without any good options. 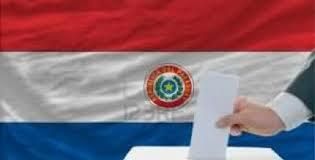 Paraguayans will be electing their next President, Vice President and members of congress on April 21. While these elections have been tainted by recriminations from all sides and political deals to try to secure a seat – a common theme in Paraguayan elections – what sets them apart is the unique political situation the country faces today after the ouster of President Lugo last June. Some 3.5 million Paraguayans out of the 6.5 million total population are expected to go to the polls in what will be one of the most internationally monitored elections in the history of Paraguay due to the on-going suspension of the country from Mercosur and Unasur. While some analysts argue that Paraguayans have plenty of options to choose from in the upcoming elections, many citizens feel that as the parties cut deals among themselves, voters are being increasingly left without options. Horacio Cartes and Juan Afara representing the Colorado Party (National Republican Association-ANR): Cartes, the leading candidate according to polls, is a conservative businessman and political newcomer. He became a member of the party in September 2009 and a year later created a group called the “Colorado Honour.” Cartes’s platform runs on his promise to bring the once dominant Colorado Party back to power after it lost the presidency in 2008–the party’s first defeat since democracy was restored to Paraguay in 1989. Efraín Alegre and Rafael Filizzola representing the Paraguay Alegre Alliance: Efraín Alegre, a lawyer with a long involvement in politics, belongs to the Authentic Liberal Radical Party (PLRA), which has ruled Paraguay since former president Fernando Lugo was removed from office in June 2012. He is the former senator and Minister of Works during the Lugo presidency. Rafael Filizzola was elected to the Senate representing the Democratic Progressive Party in 2008. 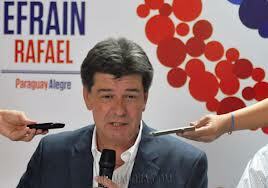 He later resigned to serve as the Paraguayan Interior Minister under President Fernando Lugo from 2008 to 2011. The PLRA came under strong criticism after announcing early this week their alliance with Unace, the National Union of Ethical Citizens Party. The main challenge for the new alliance is the ideological incompatibility between the PLRA and the Unace. The Unace has been historically identified as a party with strong ties to the military, run by one of the last caudillos, Lino Oviedo, in Paraguay. Unace’s founding leader, Lino Cesar Oviedo, died in an accident in February 2nd, 2013. The Unace vote is worth a couple percentage points that could prove vital in a close election. In return for the electoral alliance, the Liberal Party is offering several cabinet positions to Unace, including potentially the Ministry of Defence and/or Interior. As part of the deal, the government also wrote a cheque worth US$11.5 million to purchase 5,700 hectares of land from the Oviedo family in the hours before the alliance was announced. The purchase was done through the National Institute of Rural Development and Land (Indert), an organization that has been at the very centre of the controversial land ownership disputes that have plagued Paraguay in recent years which has a story of corruption. Political groups claim the purchase was done with state money as part of the political deal, and that the land is overpriced and has a lien or judicial injunction on it, meaning it cannot be sold. Miguel Carrizosa Galiano and Arsenio Ocampos representing Patria Querida: a political party founded by businessman Pedro Fadul and considered to be the fifth largest party, a centre-right party which also claims to defendChristian values. Mario Ferreiro and Cynthia Brizuela representing Avanza País: Ferreiro, a popular TV presenter and journalist, decided to run on his own after a split with the Frente Guasu. He is considered a left-leaning candidate representing the progressive political parties, leftist political movements and civil society organizations. Anibal Carrillo and Luis Aguayo representing Frente Guasu: the leftist socialist party that got Lugo to the presidency and represents a coalition of movements and parties. Lugo will be running for senator with Frente Guasu. Lilian Susan Soto and Magui Balbuena representing the Movement Kuñá Pyrendá: a women’s platform supporting former Minister of Civil Service and peasant leader Balbuena. 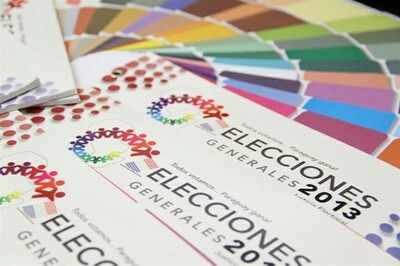 In March, consultants First Analysis and Studies presented the results of the polls, which put Horacio Cartes as the front runner in the elections with 37% of the voter intention, followed by Alegre and Filizzola with 30% of the votes. Mario Ferreiro represented 9% and the remaining were below 3.2%. The political analyst from First Analysis and Studies estimated that even with a seven percentage points difference the Colorado party candidate could be defeated if runner up Efraín Alegre reached an agreement with third-posted Ferreiro and other minority groups. But the scenario changed on April 4 with the alliance between Alegre and the Unace. While mathematically the combination of voting intentions for the PLRA and Unace produces a technical draw with the ANR, it is hard to know how this new alliance will affect the undecided and if it actually might drive votes away from the PLRA. 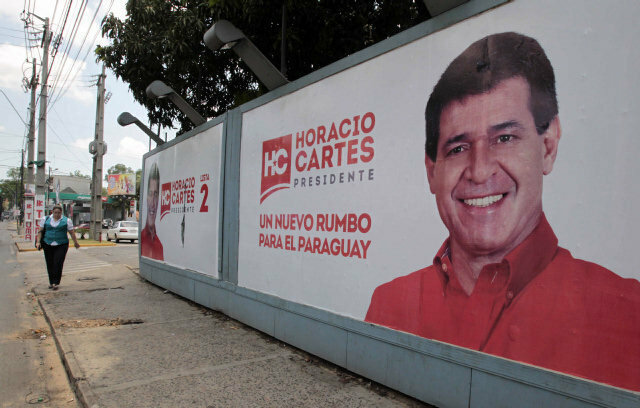 If front-runner Horacio Cartes wins it will return the presidency to the Colorado Party, which lost its 61-year of uninterrupted hegemony in April 2008 when former bishop Fernando Lugo was elected. The coalition that supported Lugo rapidly disintegrated, leaving him exposed and limited in his legislative agenda. If elected, Cartes’ arrival to the presidency will most likely be tainted by divisions and accusations. Cartes, a new face in the Colorado Party, won the primary elections with 60% of the votes, but since his election he has faced accusations from opposition parties of narco-trafficking, money laundering and corruption His group, “Colorado Honour”, has been described as a member of the “narco-colorado”, an organization allegedly linked to the drugs business. Cartes has strongly denied the allegations. Senator Roberto Acevedo from the PLRA publicly stated that the influence of narco-traffickers in Paraguay’s political parties is a problem, indicating that traffickers exert influence, not only on the Colorado Party but also on the PLRA. Cartes also faced accusations from the United States about money laundering, which he has vehemently dismissed. The US Drug Enforcement Administration (DEA) believes that Cartes, together with “members of his inner circle”, runs “a money-laundering enterprise, an organization believed to launder large quantities of United States currency generated through illegal means, including through the sale of narcotics, from the TBA [Tri-Border Area, where Paraguay, Argentina, and Brazil meet ] to the United States.” According to the DEA, Cartes “uses the Banco Amambay, which he owns, located in the TBA”. Besides fighting the accusations from the outside, Cartes will also need to fight potential divisions from the inside. Cartes was able to win the Colorado’s primaries thanks to alliances with different factions of the party. After the elections, these factions will be ready to trade their political support for political favours and cabinet positions, which the new President will need to carefully balance in order to maintain support in congress while at the same time putting together a cabinet that is able to respond to some of the mounting international pressures Paraguay is experiencing, especially in terms of full restitution of democracy after Lugo’s ouster. After launching his presidential bid, Alegre was endorsed by Paraguay’s interim president, Federico Franco, also from the PLRA. Alegre is running primarily on an economic and social platform and he will need to overcome the obstacle of a split vote among other liberal contenders if he is to win the executive office. If Alegre makes it to the presidency, he will face a Colorado Party furious at losing an election they believed they had in the bag. They will likely respond by blocking all his initiatives in congress. He will also face an angry progressive opposition still upset by Lugo’s impeachment, which they blame on the PLRA. With elections in less than a week away, Paraguayans are left with some tough decisions. The country desperately needs a President who can safeguard the economic boom the country is experiencing (Paraguay has had its highest economic growth in the past 20 years, and the International Monetary Fund forecasts 11% growth in 2013 ) while making sure that the growth reaches the poorest of the poor and at the same time tackling pressing issues such as land disputes, and widespread and entrenched corruption. So far, no candidate seems to have the political will coupled with a strong enough political mandate to do that. Paraguayans may be forced into an election without options.